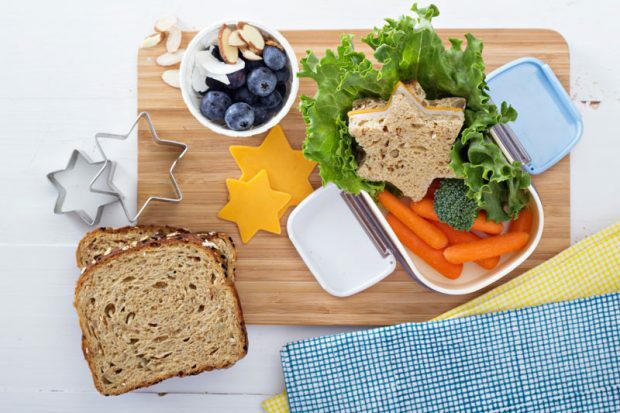 • A source of protein, to keep your child feeling full, such as cheese cubes, hummus, roasted chickpeas, cut-up meats, hard-boiled eggs, yogurt or unsalted nuts. • Adding visual and nutritional punch with a half-cup serving of fruit (whether fresh, canned, dried or pureed) and ample bite-sized vegetables. • Round it off with a healthy source of carbohydrates (whole-grain bread or pancakes, muffins, crackers or pitas). What about dessert? “There certainly can be room for dessert, but I would not recommend it on a daily basis,” Buonfiglio-Meyer says. What are the best ways to avoid, identify and treat head lice?